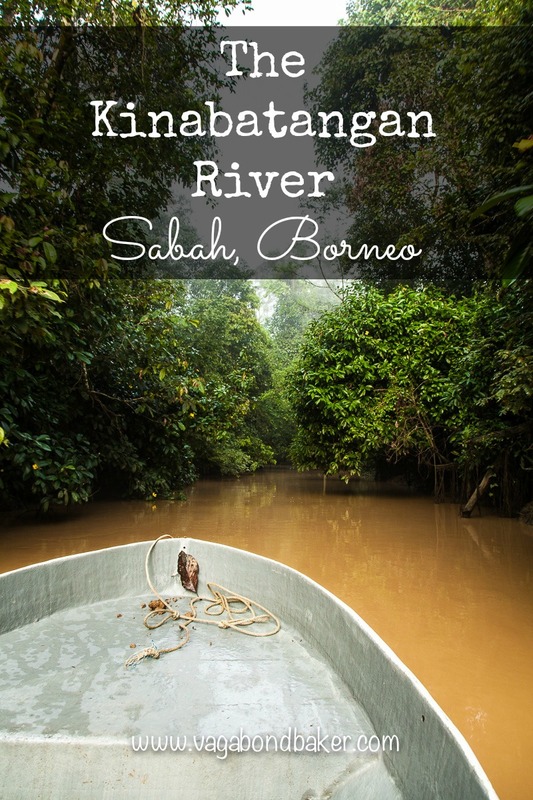 The Kinabatangan River is actually a forested floodplain, an area on the north-eastern coast of Malaysian Borneo that has been set aside as a wildlife sanctuary. 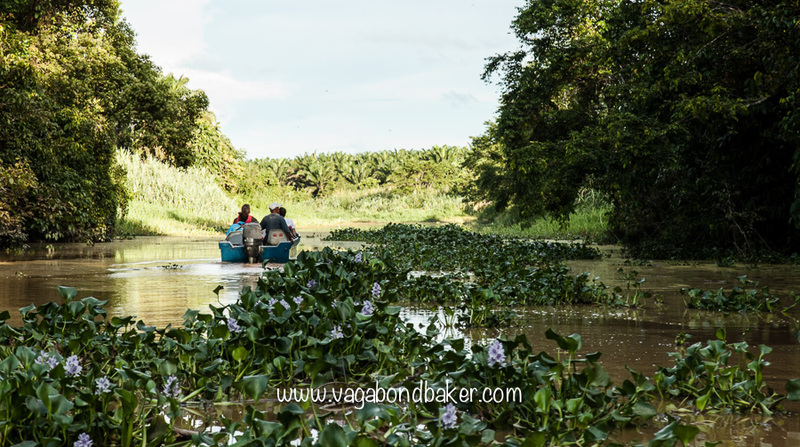 Much of the surrounding land is endless palm plantations making this a vitally important haven for Borneo’s wildlife. The animals and birds are condensed into this forested corridor by the encroaching plantations, making them pretty easy to see yet it is heartbreaking to understand why. 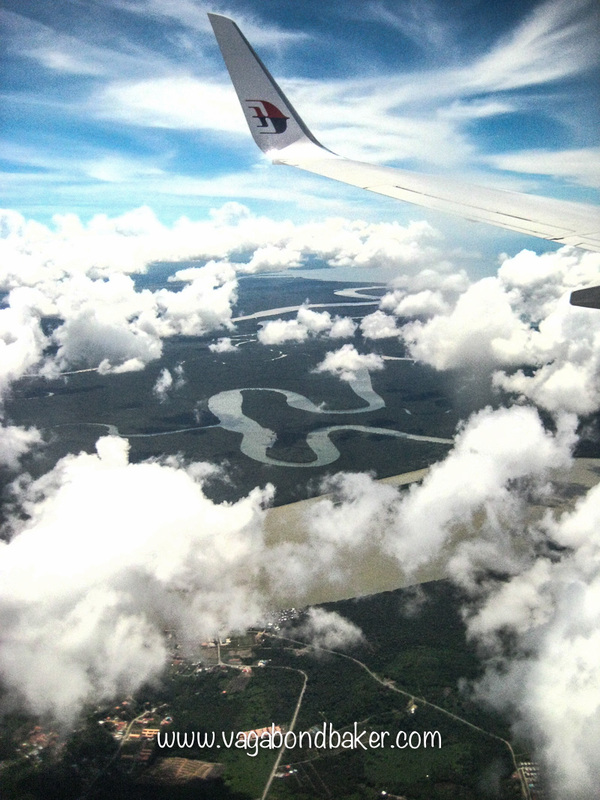 To get to Kinabatangan we flew from Kuching, Sarawak to Sandakan, Sabah via Kota Kinabalu, the flight took us over what I assume to be the forested floodplain, a snaking river appeared through the clouds. 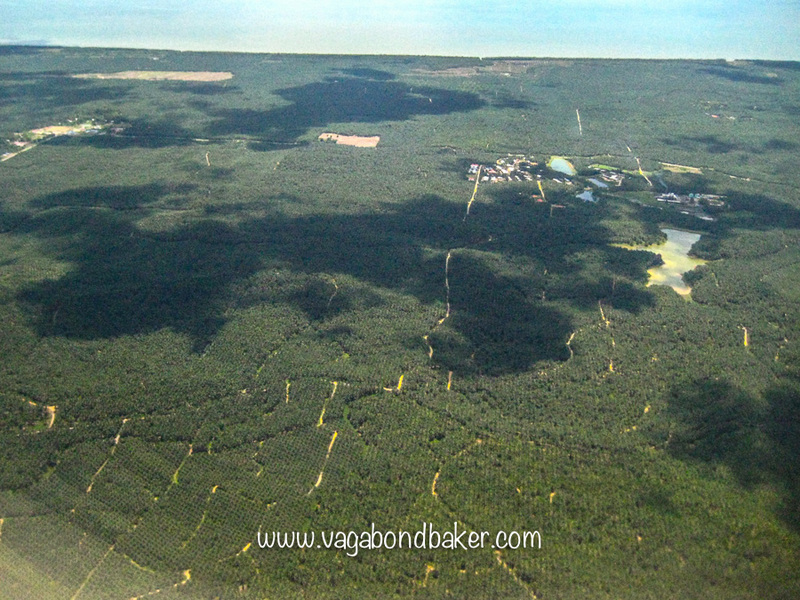 As we got nearer to Sandakan the realisation that much of the green was actually neat, gridded palm plantations, not wild ancient rainforest. From the air, the extent of the plantations is alarming. 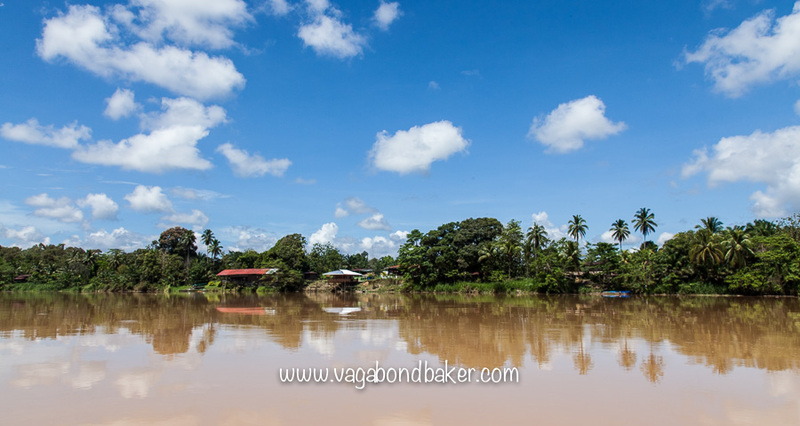 We were picked up from the airport by a minibus that would transport us to our accommodation, the journey took a few hours and miraculously the plantations dropped away and the rainforest rose up around the road. 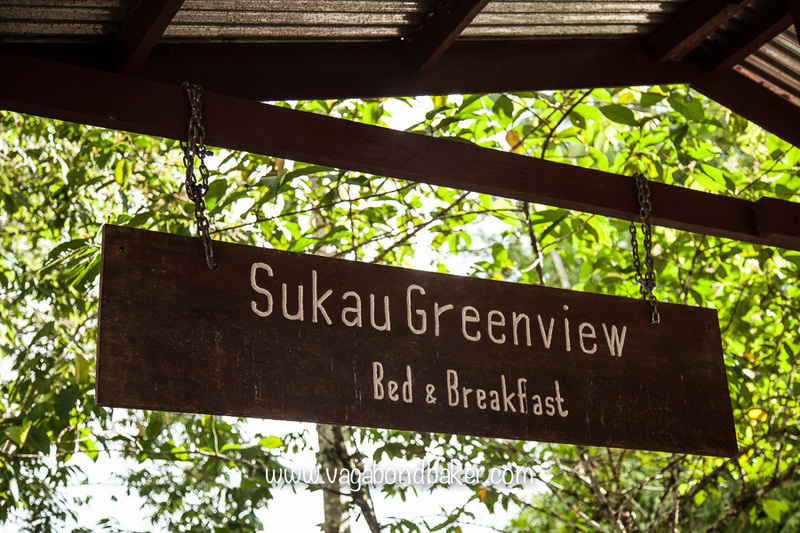 We had booked a room at the Sukau Greenview B&B, on arrival we were given our schedule for the next 40 hours: there were cruises, jungle trekking and a night walk. 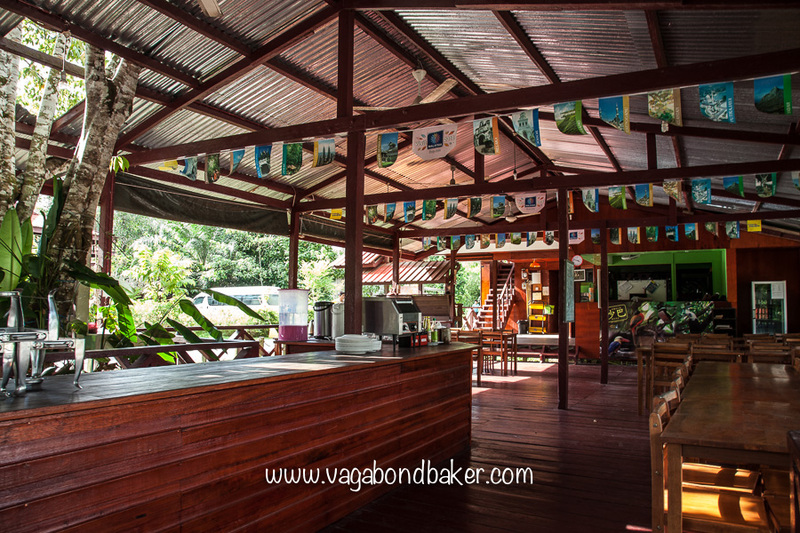 The accommodation was basic but clean – there are cockroaches but, hey, you’re in the rainforest. I did have a bit of an issue though on the second night when I woke in the night to visit the bathroom and found 3, yes 3, big cockroaches chowing down on one of our toothbrushes, oh god, just thinking about it…must.stop.thinking.about.it. But, like I said, it’s the jungle. 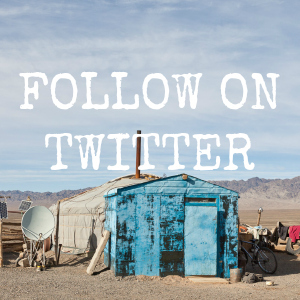 We’d booked a package: accommodation plus tours. 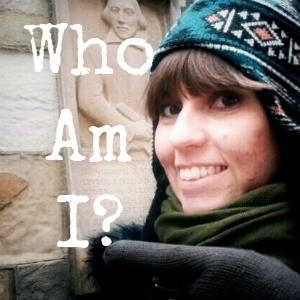 This began with an afternoon river cruise, dinner and a night cruise. We appeared to be the only independent travellers staying that night, and we had the boat to ourselves. 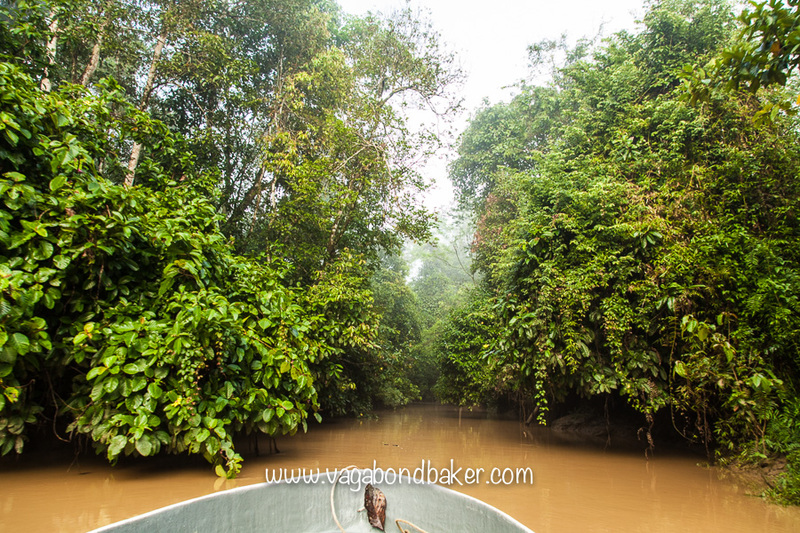 It was a wet afternoon, the boat headed off the main river and down narrow channels in the waterlogged forest. It was pretty special but very unphotogenicly grey with the weather. The night cruise was very uneventful, I don’t think we saw anything other than the odd roosting kingfisher. The following morning was clear and bright, we took a dawn cruise up to Oxbow lake. The guide was good, he knew his stuff. 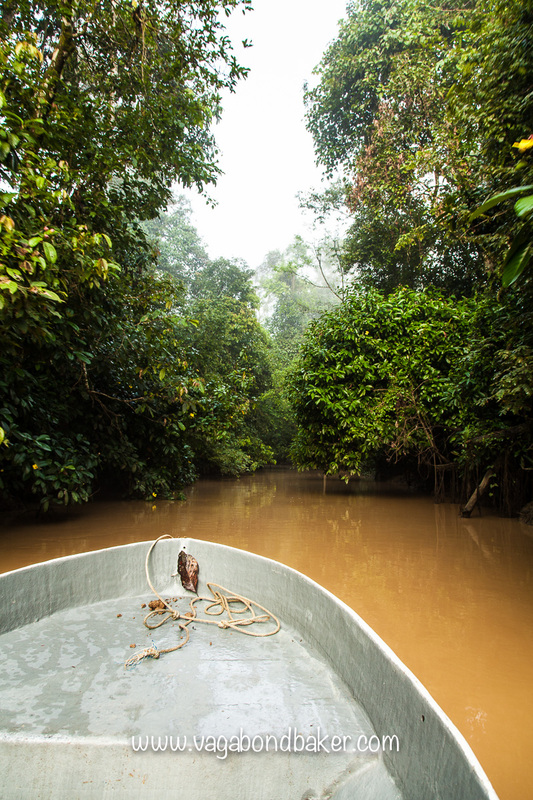 It didn’t take long to see Proboscis Monkeys up in the canopy and it was magical cruising through the green canals in the cool morning air. 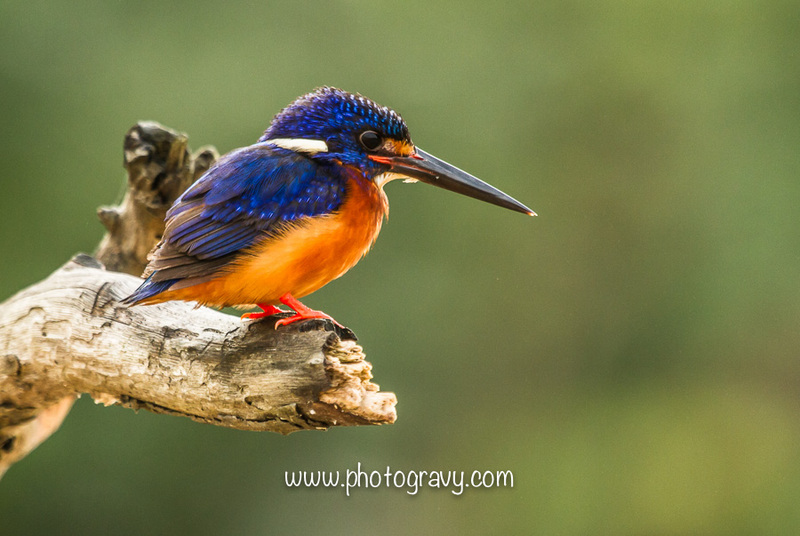 Tiny Kingfishers flitted along the waters, perching on posts and branches to wait for a catch. They are so beautiful, such vibrant plumage. We watched macaques leap across the channels with the help of rope ‘bridges’, even a proboscis monkey took a great leap across. Stopping to photograph one kingfisher next to the riverbank the boatman spotted a snake, curled up on a branch just above his head! 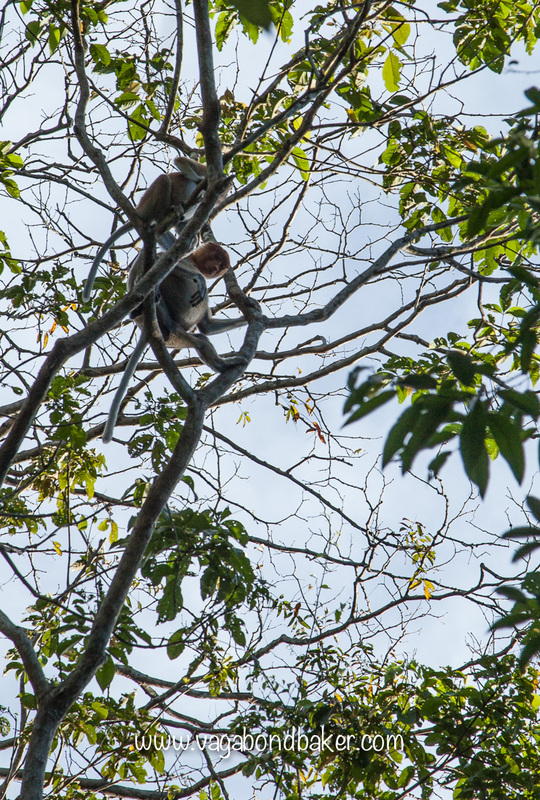 We did a jungle trek with the guide, we didn’t see a great deal other than some Proboscis Monkeys high up above us which was rather special. Seemingly we had missed seeing Pygmy Elephants by a day or two, they’d been spotted a few kilometres away. On the morning cruise Chris told the guide that he really wanted to see a Rhinoceros Hornbill but we’d had no luck. 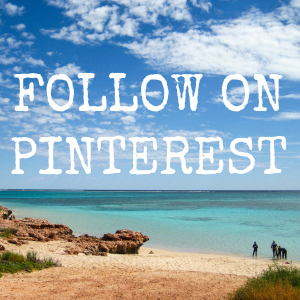 He said he’d take us somewhere else on the evening cruise, somewhere where there’d be more chance of seeing them. Unfortunately, when we went to the boat to join the afternoon cruise we discovered we no longer had the same guide or the same boatman. We set off, in a different direction and our hearts sank. A little way on they got a call, we’d have to go back to the B&B to pick up two more people. This was a bit annoying as it was eating into our cruise time. There then followed some confusion, the other two never arrived and the guide was given the message we were to find the hornbills. The new guide was lovely although inexperienced, she explained she used to work at the B&B as a housekeeper and now she was training to be a guide. The young boatman surprised us by actually knowing his stuff, he may have been a bit eager with his boat handling but he knew the call of the Rhinoceros Hornbill! 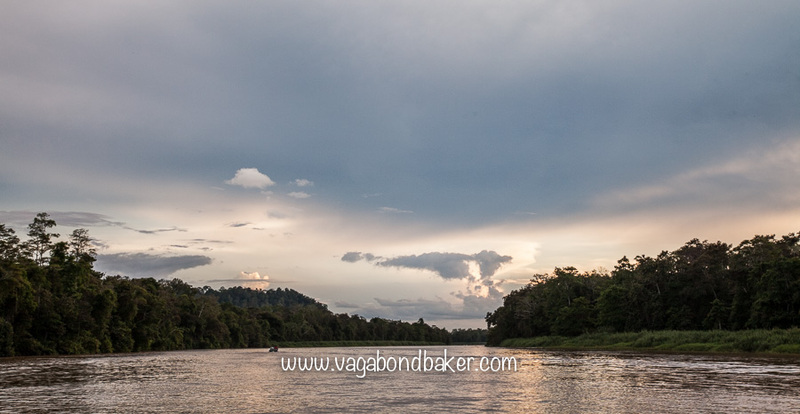 It was getting late in the afternoon, we heard the hornbills calling and headed across the river to try to see them. And there they were, two in a tree: it was unbelievable, we’d given up hope of seeing them. It turned out there were four of them, when one took off to fly to another tree we got a good look at him, what a beauty! There were high-fives around the boat, what had started off as a disappointing, slightly shambolic cruise had ended on an absolute high with this sighting. 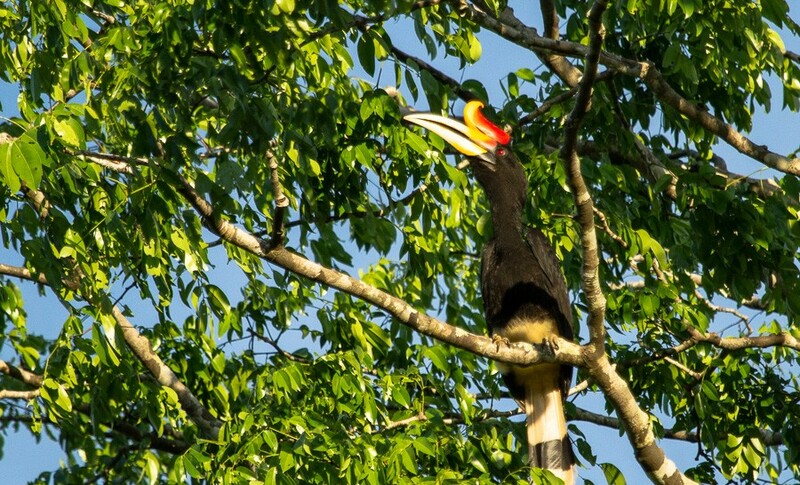 The Rhinoceros Hornbill is the national bird of Malaysia and it adorns many souvenirs, statues and artworks, it is superb to see one in the wild. 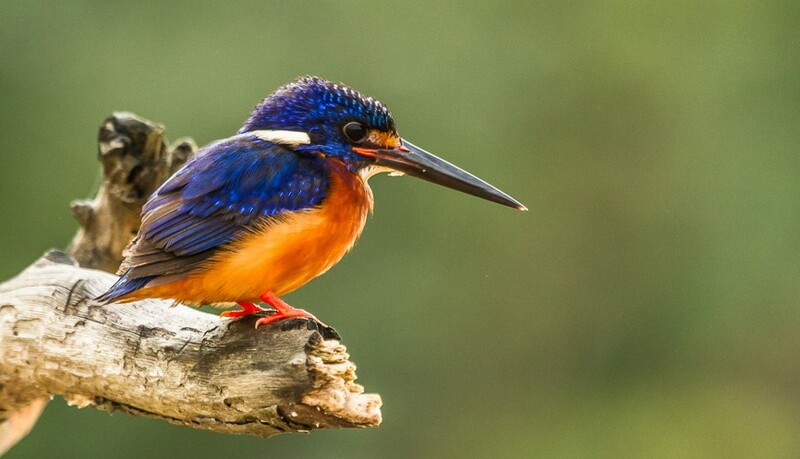 Unfortunately, these magnificent birds need the old rainforest to survive, a shrinking habitat. It is so very sad. Our final activity was a night safari, by now I think the Sukau Greenview B&B had given up on us, we had to push to have the night safari and it was our young boatman who led the way. Rather than a bit of rainforest, they took us round the back of the B&B into some scrubby woodland, dotted with oil palm and rather difficult to negotiate. I’m pretty sure we got lost and went around in a circle a few times, the only thing we saw was a teeny tiny roosting kingfisher. 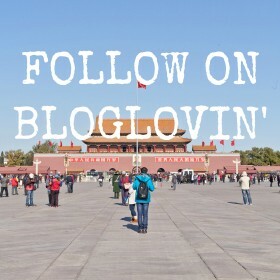 It was a disappointing end to our stay and it definitely knocked a few points off, it certainly felt like we’d been forgotten about, palmed off. 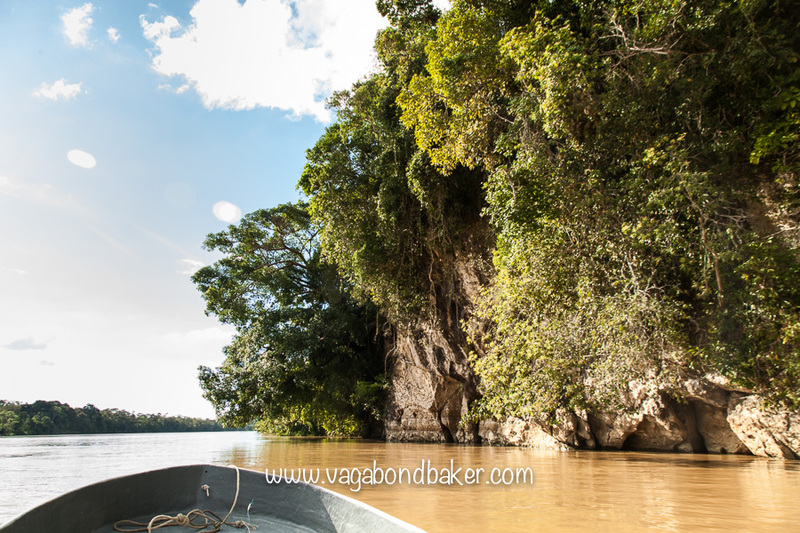 We left Kinabatangan feeling both elated and deflated. We had seen some amazing wildlife: we hadn’t seen wild orang-utan, or the pygmy elephants but what we had seen had been spectacular. 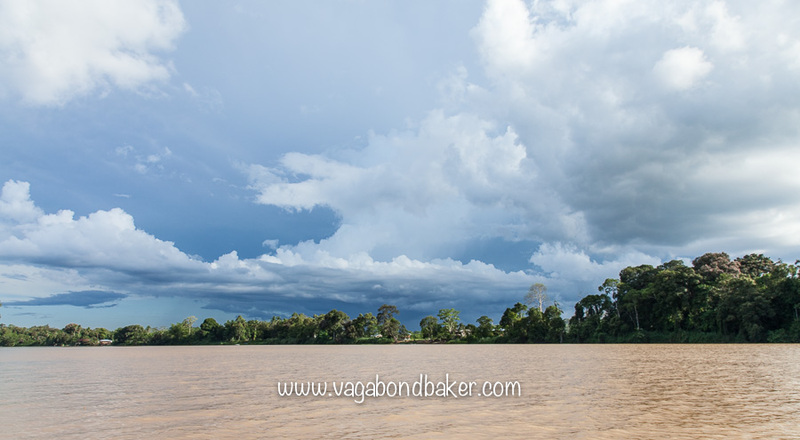 In places along the river though we’d seen how thin this reserve is, just a few riverside trees then plantations. It brings into clarity what we are loosing: the Kinabatangan River feels like a museum piece, a fragile, beautiful example of how it used to be. And it is heartbreaking. 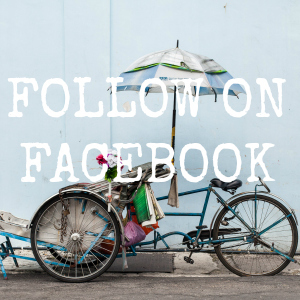 Most of the wildlife photos in this post were taken by Christopher Hodgson of photogravy.co.uk, the ones without the vagabondbaker watermark.